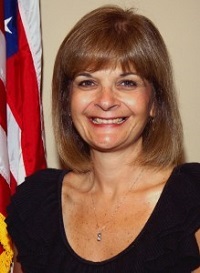 Lori Pomarico joined the City of Hardeeville in 2007 after relocating to South Carolina from Connecticut, where she lived and worked for the local telephone company, AT&T, as a Construction and Engineering Administrative Manager. She is a New York City native and a graduate of the Berkeley School of Westchester, and she also attended Fordham University. She is a recent graduate of the Municipal Clerks and Treasurers Institute. Lori and her husband Mike, a Hardeeville firefighter, reside in Hardeeville, and are the proud parents of five children - Michael, Michelle, Amy, Ashley and Alex - and are enjoying being the grandparents of Holly.